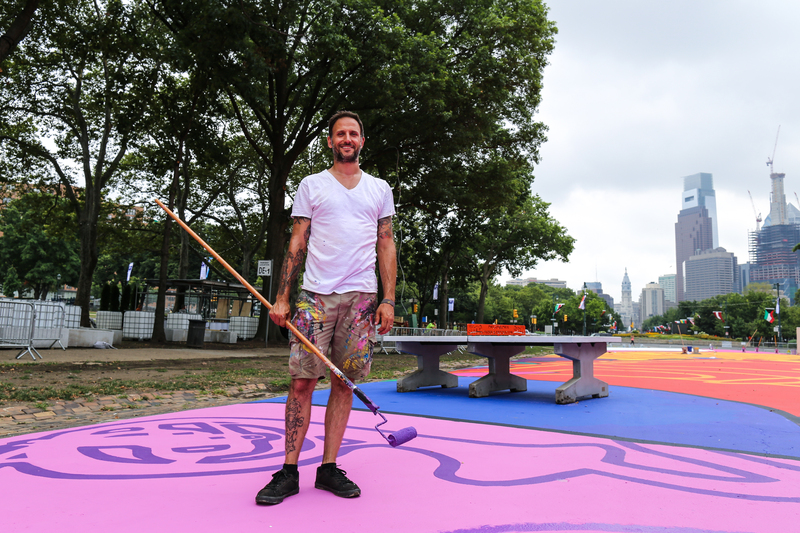 Titled ‘Rhythm and Hues’, this new 25,000 square foot mural being painted at the Oval on the Benjamin Franklin Parkway was the winning design of Philadelphia-based artist Brad Carney. 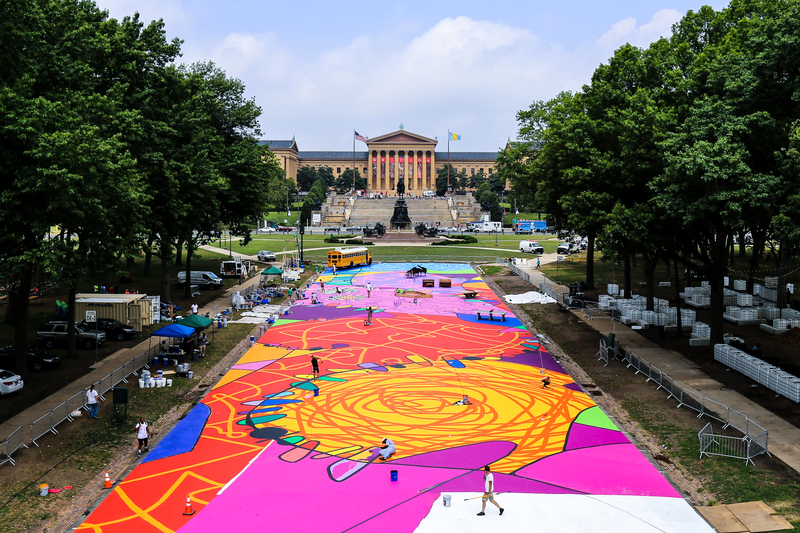 When complete, the mural will act as the centerpiece of the Oval as its annual summer events series rolls out, bringing with it a mix of free movies, live music, kid-friendly activities, interactive games, a rotating lineup of food trucks, and a beer garden. 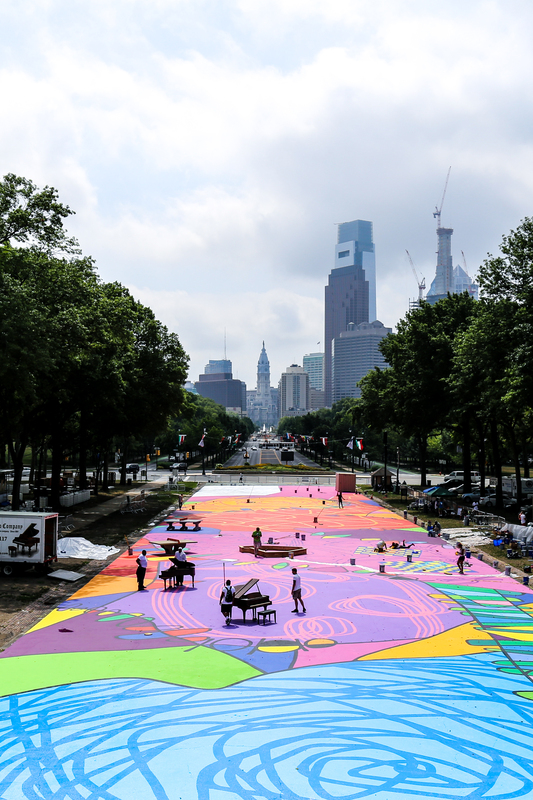 A MUCH better use for the space in front of the Philadelphia Museum of Art than a surface parking lot! Mural Arts explores the theme of Brad’s design, which is refered to as “a full-scale music-inspired abstract experience,” on their blog; and you can read that HERE. 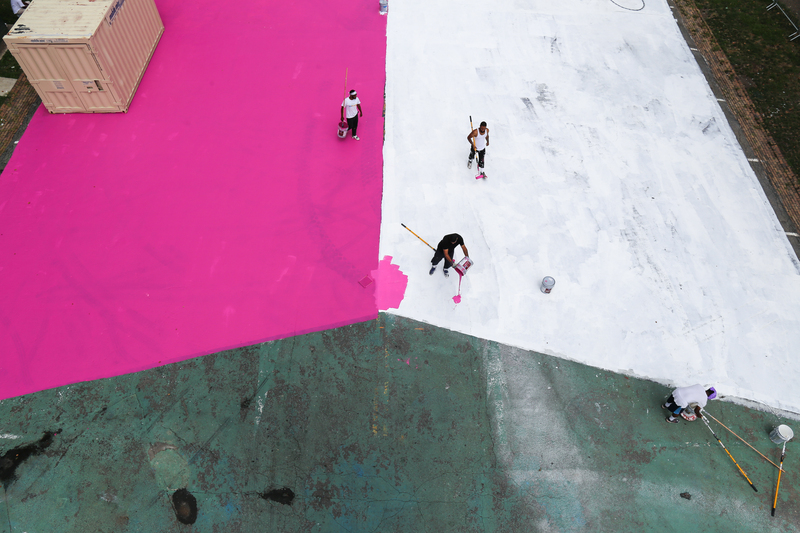 The mural will be completed today/tonight, just in time for the the Oval’s opening tomorrow, Friday, July 15th. 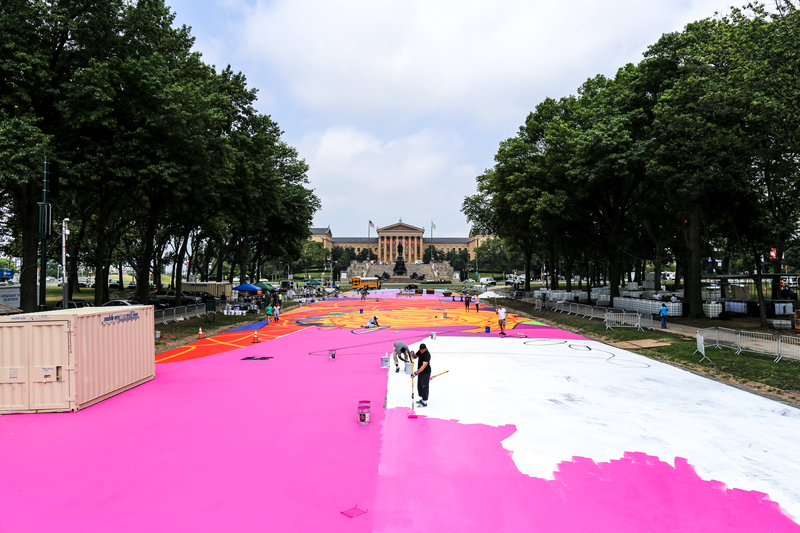 And I can’t forget to mention that the whole thing is in partnership with the amazing Fairmount Park Conservancy and Philadelphia Parks and Recreation! Now, can we PLEASE make the Parkway more pedestrian friendly? The way it’s designed now, cars drive it like a highway to the suburbs… Right, I can’t be the only one who dreads walking the Parkway. 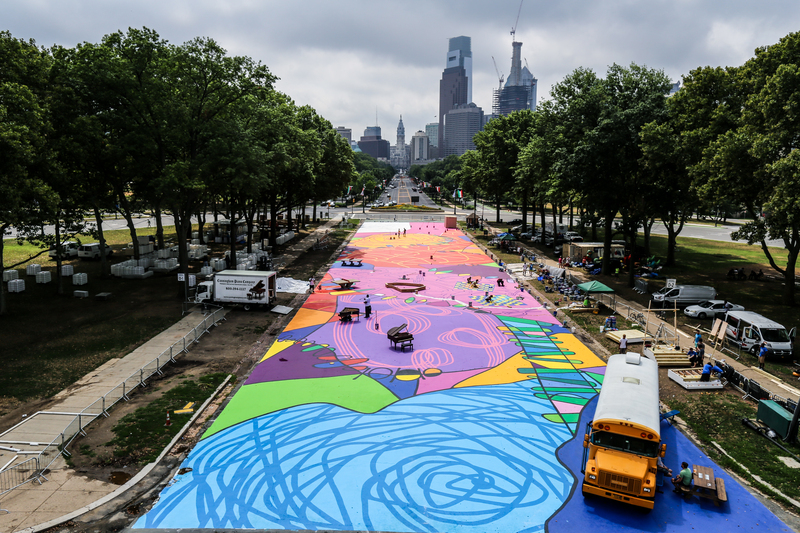 This mural/event series is a great way to get people walking the Parkway, now we need to redesign its traffic patterns so that people want to come back!